the starving babies of rural Guatemala. Within the villages of Guatemala, over 80% of children under the age of five are chronically malnourished. Infant mortality is high, accounting for 25% of all registered deaths. 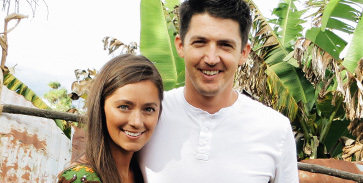 Jeff & Karlie Ruiter were born and raised in Loveland, Colorado. Jeff graduated with a BS in Business Administration with an emphasis in accounting and a minor in Biblical Studies from BIOLA University. Jeff has a strong construction background having worked several years for his parent’s excavation company. Karlie graduated with a BS in Nursing with a minor in Spanish from the University of Northern Colorado. She practiced for two years as an emergency room nurse at Medical Center of the Rockies. They took several trips to Guatemala in support of their now mentors, George and Vonda Sisneros with Ordinary Missionaries. 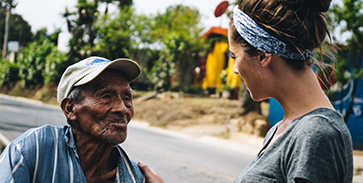 During these short-term trips, God revealed to them the extensive need for infant health care, especially related to malnutrition and preventable disease. 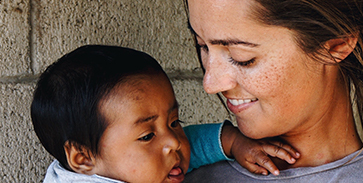 bring health and hope to the starving babies of rural Guatemala. 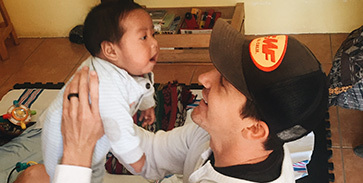 Within the first year of living in Guatemala, they initiated a community health program that offers excellent medical care to severely malnourished infants, provides access to clean water, and fights for the future health of these infants by improving their unhealthy and unsanitary living conditions. babies received medical care by a licensed provider.